The effectiveness of traditional marketing methods has been on the decline for some time now. You might think that would make it difficult for brands to reach and engage their audiences. Brand trust, credibility, authenticity, visibility, and engagement are the driving factors behind consumer purchase decisions. This is why brands have had to adjust their strategies to create better, all-around experiences for their customers. And influencer marketing, the new kid on the block, delivers all of that and then some. No wonder why 86% of marketers used influencer marketing last year, with 92% of them reporting it to be effective. In fact, 52% of marketers intend to leverage multiple types of influencers (celebrities, bloggers, micro-influencers) in an integrated strategy. But for any influencer campaign to successful, a key ingredient is having the right set of tools to rely upon. There are numerous tools out there that you as marketers could and should be leveraging to nail your campaign. But if you’re only just now dipping your toe into the pond, you might find choosing the right tool a bit overwhelming. That’s why we’ve compiled this list of the 12 tools that we think you should know about. Note, this isn’t a ranked list, so it’s encouraged that you dig into all 12 of them. 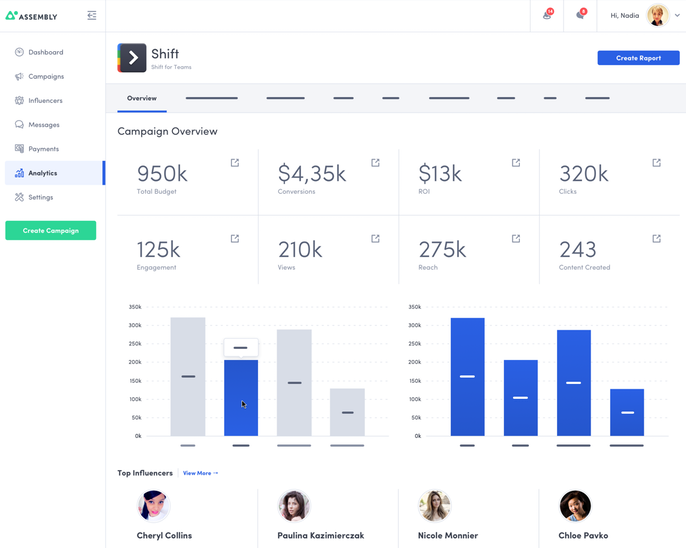 HYPR is an intensely data-driven influencer discovery tool that is often dubbed the Google of influencer search engines. It helps brands discover influencers based on their activity on Facebook, Instagram, Pinterest, Twitter, and YouTube. They have an enormous database of 10 million influencers, including detailed demographic data about their followers. Their search engine is the company’s jewel, capable of going through social media posts with a fine-toothed comb. What’s more, it clearly shows you their key interests so that you don’t have to scrape their social media pages yourself. You can drill down on search parameters like their geography, follower demographics, engagement, and amplification. To put it differently, the search results from HYPR are based solely on cold hard facts and numbers, not opinions. This data-driven approach is why they can boast a client base having over 100 Fortune 500 companies. The only downside to HYPR is the limited campaign management functionalities available. In contrast to HYPR, Grin is a tool that delivers a great all-around performance. It can help you identify, recruit, and activate some of the most engaging social influencers. It eliminates the need for internet stalking by providing you with all of the relevant data you need. You can zero in on the perfect influencers by filtering them on the basis of numerous key parameters. Additionally, it is capable of managing your entire campaign from start to finish. It takes care of your outreach to them, your content collaboration, sample product shipments, and payments. Their proprietary database is made up of some of the best micro and influencers. It’s also capable tracking your campaign performance through the deep level reports you can generate. 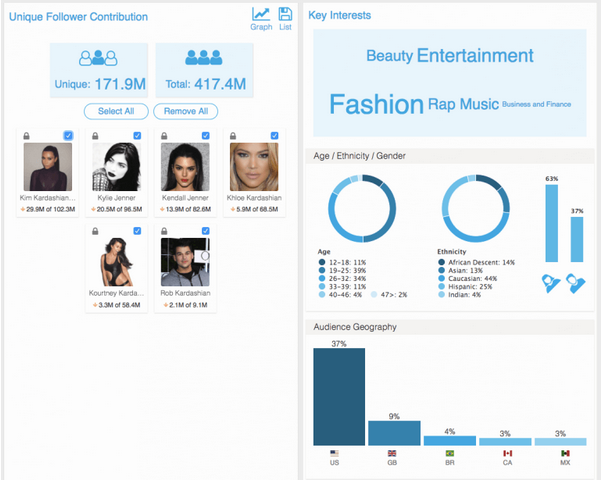 The dashboard can display an aggregated feed of your influencers’ content, their engagement, and your ROI. As subscription-based software, it allows you to retain complete control over your influencer relationships. The first of few free tools in this list, Discover.ly is Chrome plugin that is a must-have for networking. It helps you find the warmest introductions to new accounts and circles within your current account scope. It allows you to see the social accounts of all the people in your network. Say you’re on a person’s LinkedIn page, the extension will show a green icon to indicate extended information about them. So, it allows you to see their presence on Twitter, Facebook, Google+, Klout, and more. 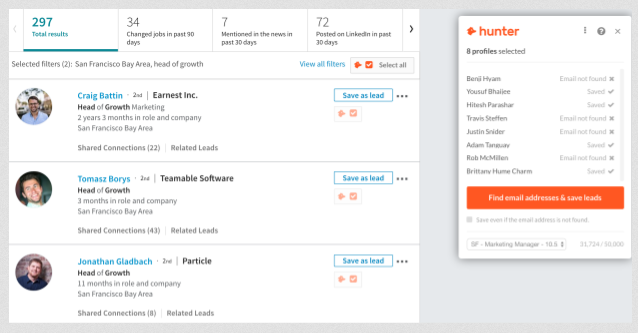 You can leverage the tool to check if any of your existing contacts have connections with influencers in your niche. If it comes up with positive results, you can use those connections for a warmer introduction. 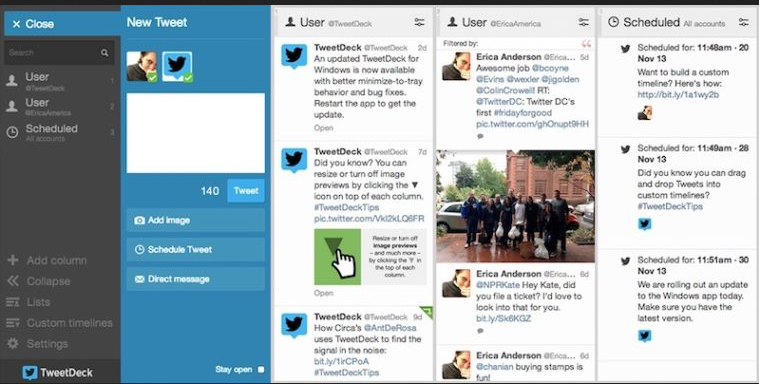 TweetDeck is Twitter’s social media dashboard that helps you manage all of your tweets. Free to use, you can use it to display your all timeline items, mentions, lists, trends, messages, search results, and hashtags. The unified interface allows you to control up to 200 different Twitter accounts through its dashboard. More than that, it arms you with a very powerful search engine. From tracking mentions of your competitors to specific hashtags, leverage it to find influencers active in your niche. You can even set up alerts to inform you about when your followers add new connections. Analyze their profiles to see if they are potential influencers. Further leverage the tool to check how many lists particular people are on. This serves as a valuable indicator to help determine how influential they might be. BuzzStream is another multi-purpose tool that takes care of your influencer discovery, outreach, management, and reporting needs. It’s a good tool to have in your kit if you’re looking for sites and influencers from whom you’d like to earn backlinks. 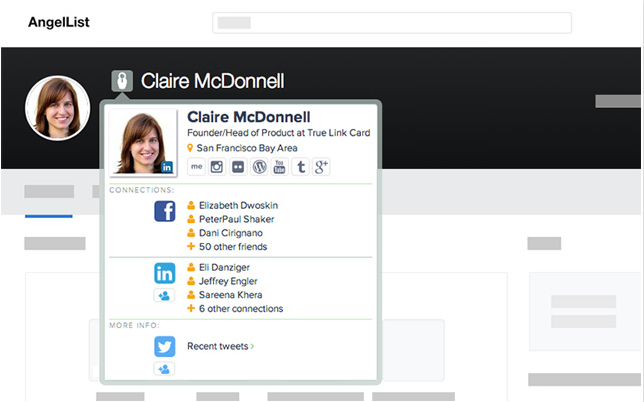 It can help you source contact information of the influencers and manage your outreach on email and social media too. 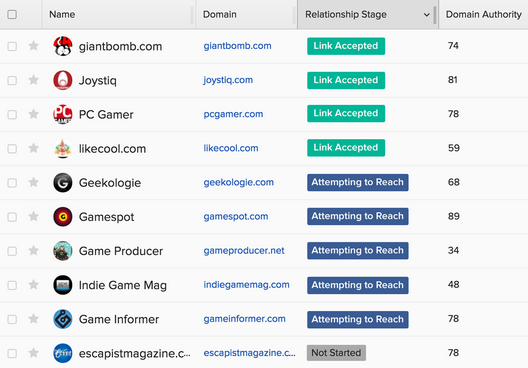 It can even tell you whether or not the influencer opened your mail or if they clicked on any links. Use it to sort through and prioritize your opportunities. Check your outreach performance on their easy to use dashboard and act in accordance with the insights you derive. Its biggest draw, though, is its Chrome extension that allows you to pop open a record from their database. From where you can send out a quick email using pre-saved templates. In essence, Lumanu is a platform to help amplify influencer content. It was designed to fill a particular void when it came to the repurposing of brand content. Lumanu was designed to help brands reuse their paid marketing content via micro-influencers. Its focus is to help you deliver the right content to the right audiences. Lumanu’s content discovery platform scours the net for online content, adds metadata, curates it, and publishes refined content. The content is then analyzed accordingly and the platform helps you to activate the right micro-influencers to boost your organic reach and engagement. Likewise, it also helps you convert your influencer content into social media ads for Facebook and Instagram. You can even set your budgets and push your content on social media through influencers, directly via Lumanu. Despite the rise of influencer marketing, until recently, there was no proper standard to measure performances. Which is where SYLO steps in. They aim to set the standard for measuring the performance of influencer marketing campaigns. In fact, they like to describe themselves as the “Nielsen Rating” of influencer marketing. The tool helps you verify and validate strategies, collaborations, and campaign performance. It offers third-party data measurement, analytics, and reporting. 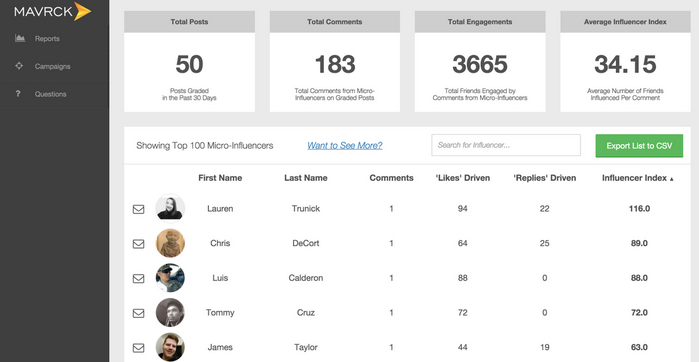 You can track and report on the overall campaign as well as individual influencer performances. Content creators can also check out how their content is fairing. Then they can optimize their strategies based on those insights. What truly sets it apart, though, is their proprietary SYLO score algorithm. In a nutshell, it weighs various performance metrics according to the importance marketers give them. Yet another free tool, Hunter provides you with online data so that you can create meaningful connections with professionals. Think of it as an online Yellow Pages directory for email addresses. You can find all the email addresses of a domain or company that are publically available on the web. It’s a particularly useful tool to have to help you with your outreach. Leverage their search engine and database to source the email addresses of people who can add value to your campaign. Use it to get the correct email addresses of the influencers you’ve decided to target. Available as a browser extension, it’s easy to use and very handy. The only downside to it is the limited number of searches you can do in a month. The free plan, for instance, allows you 100 searches only. Mavrck takes an entirely different approach to connecting influencers and brands. Using any other platform, you’d filter through influencer search engines, and try to find people who align with your brand. At Mavrck, they flip the equation, and don’t find you the right influencers. Instead, they take your best existing customers and turn them into influencers. Thus, eliminating the need for you to try and convince them to promote your products. An approach like this allows you to source more authentic and heartfelt influencer content like testimonials and reviews. No wonder they have clients ranging from Procter & Gamble to Universal Studios, and Dunkin Donuts to JetBlue. Their algorithm determines the reach and engagements of customers, and hence their influence. Those who are deemed influential enough can earn rewards for completing certain social media undertakings. Think of it as a very elaborate customer loyalty program. Founded almost a decade ago, Traackr is one of the oldest influencer marketing tools there is. With the way the industry has gone, they’ve had to adapt themselves to keep up with the times. Despite creating the, “Online Authority List,” a precursor to influencer search engines, Traackr now specializes in relationship management. A search engine plus management tool, very few influencer tools can hold a candle to Traackr and their hybrid database. Relying on a computer algorithm and human input, it provides a unique take on influencer discovery. It even helps you measure effectiveness, down to specific tweets, posts, and videos. Their network visualization map is an interesting feature. It shows you the connections between influencers and other people. Which helps you check out other potential additions to your network. With their unique approach, they don’t promise quick results, rather long lasting relationships. While it’s true Personapp isn’t exactly an influencer marketing platform, it can do your campaign a ton of good. Essentially, it allows you to create buyer personas for your business. Once you’ve identified your target audience, you can build a buyer persona for them. The software allows you to customize your personas using various details. Apply parameters like customer behavior, demographic details, and buying motivations. You can even create avatars for each of the personas to help you identify potential customers. Once you have that figured out, your influencer discovery process will become a lot easier. You can identify the influencers who have an audience with the kind of buyer personas you’re targeting. You can take this a step further, by applying the same logic to create an influencer persona for your brand. Consequently, making influencer discovery more accurate and efficient. Assembly is a cloud-based application that allows you to manage all of your influencer marketing campaigns from a centralized location. Their aim is to streamline the entire process - from influencer on-boarding to creating campaigns and measuring their performance. 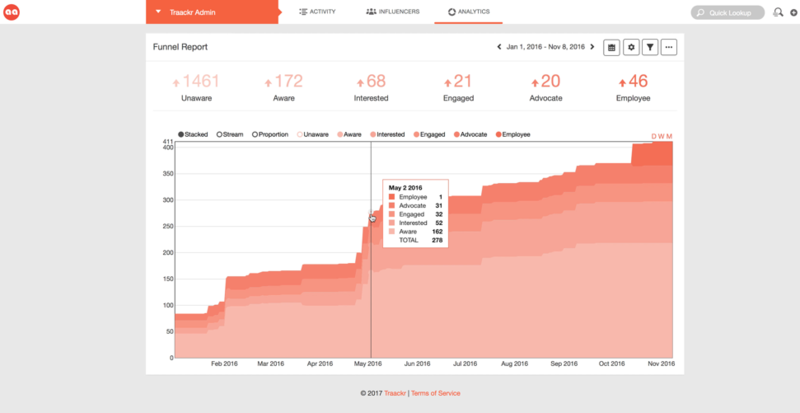 You can look at Assembly as your CRM solution for influencer marketing. It makes it easier for you to manage and optimize your campaign in real-time. It focuses on data and performance analytics to help you improve your ROI. With their proprietary tracking system and insightful reporting platform, they’ll help you effectively scale up your campaigns. The only real demerit of Assembly is that it isn’t much help in the first step of influencer marketing - influencer discovery. Scouring the net or social media for influencers is only going to consume your time and energy without much to show for it. And it will leave your campaign in complete disarray. 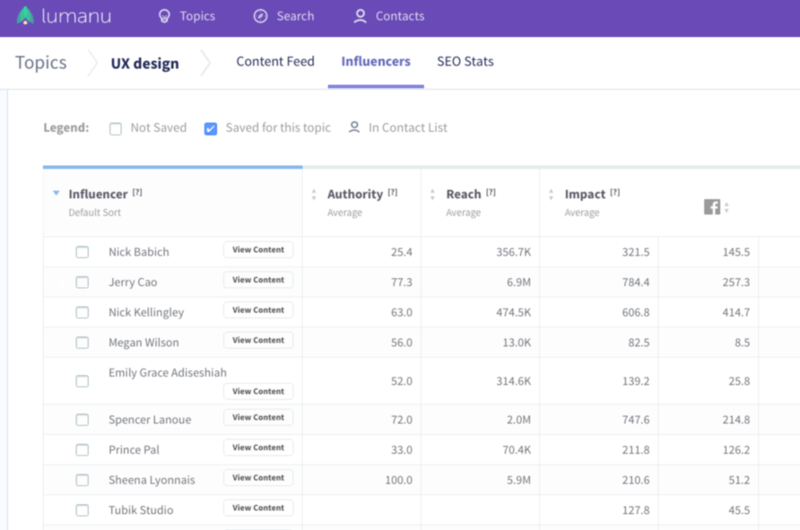 Influencer platforms and tools like those above can elevate your influencer discovery and marketing campaigns. Tools like these can help you manage your campaigns and relationships and deep dive into the analytics. More than anything else, they help you find the best influencers, ones who check every box for your brand. If you have any other tools that you think deserve a mention, let us know through your comments.